Michael has appeared in some of Australia’s most successful television, stage and cinematic productions with his resume reading like a who’s who of the Australian Arts. 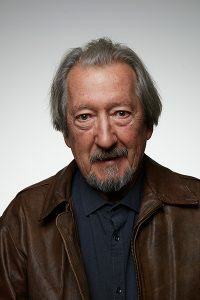 Some of his most memorable roles include Dale Kerrigan from The Castle, Uncle Harry from The Sullivan’s, and Rex in Last Cab to Darwin; a film about a cab driver from Broken Hill who embarks on an epic trip to Darwin after being told he doesn’t have long to live. Michael was awarded the prestigious AACTA Award for best Lead Actor in 2015 for this performance, and this, along with his many other awards has his pool room packed to the rafters. Michael is currently filming the feature film RAMS, alongside Sam Neill. The organising team is delighted that Michael has agreed to have a yarn with us all at the 2019 MNHHS Aged Care Conference. Registrations for this conference are open. Standard registration is $440 per person including GST for the two-day conference. Standard one-day attendance $220 per person including GST.